Economy Solid Recycled Plastic Speed Bumps are safe and easy for one person to transport and install! 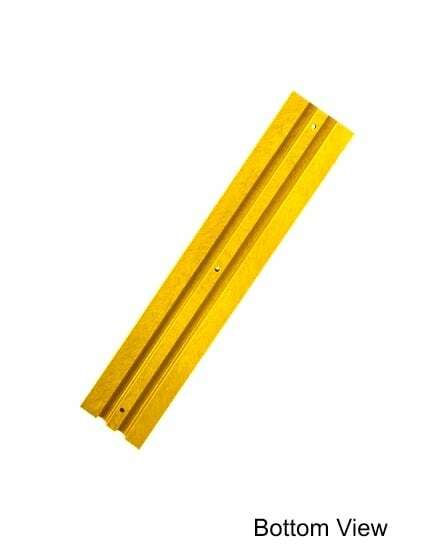 Our four foot speed bump has yellow color molded in throughout the speed bump. 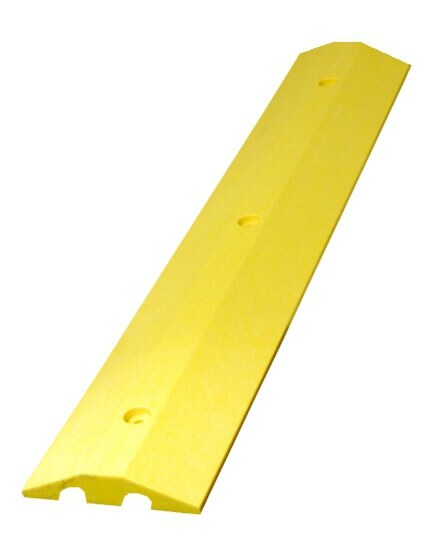 Molded of 100 percent post-consumer plastic makes this LEED qualified traffic calming device a lightweight, affordable option. 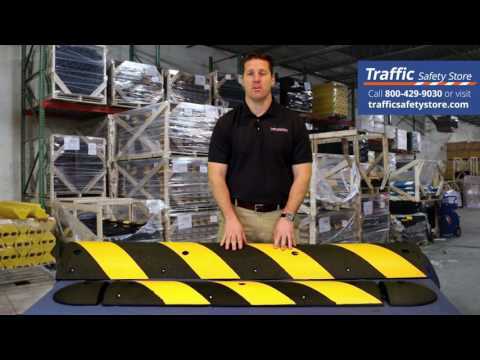 4-foot economy plastic speed bumps can be installed end-to-end to fit commercial parking lots and residential roads. Comes with a lifetime anti-breakage guarantee. Fade-proof, molded-in yellow. Low shipping costs. 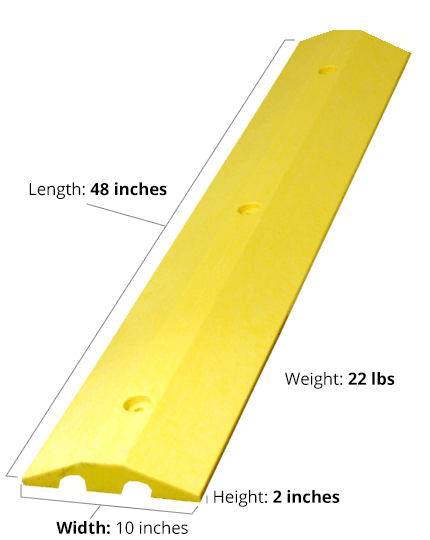 Four foot plastic speed bump includes recessed bolt holes- measures 4'x10" and tallest portion of the bump is 2". Four mounting methods to choose from - includes mounting hardware. Arrived sooner that we thought. Excellent price perfect for our business, would order again. Would recommend these to anyone who needs to slow down traffic at there business. As a contractor, my clients ask me to do a number of different things for them and recently one asked me to provide & install a speed bump at one of the entrances to the facility. Found one on line with the Traffic Safety Store, order it with no issue, had it delivered in a couple of days and installed it for my client. They were very happy with the product and the quick install. Appreciate the help TSS!! The online search and purchase was very customer friendly. Shipping was quick with communication being excellent. I have shared your site with all my fellow property managers through the states. Thank you for your service and will use you again soon.